Aspie Obliviousness: A Good Thing? How many times have you been told that you don’t pay attention enough, aren’t aware enough of your surroundings, or even worse, that you have your “head in the clouds” all the time? I heard this quite often, especially as a teenager and coming from my absolutely favorite aunt (NOT!). If you remember my post from a while back that talked about EMSs (early maladaptive schemas) and negative core beliefs, you’ll remember that sometimes we form these beliefs based on negative feedback from significant figures in our childhood – parents, relatives (well-meaning or not) and the like. So as a result of her negative comments, I developed a sort of hypervigilance which basically required me to pay attention to everything in my environment. Literally. You can imagine that for someone on the autism spectrum, this would be downright tiring. And it was. I was constantly scanning my environment for details, dangers, etc., especially when I would move from one environment to the next. It would take me a while to get comfortable when I arrived into a new room, got out of the car and went into the house, and so forth (you don’t want to even know how taxing it is to try to notice EVERYTHING – including passing scenery – when you’re in a moving vehicle as a passenger). When I was in my early twenties, I dispensed of this habit: unfortunately, some events in my mid-twenties reactivated a healthy (again, NOT!) dose of post-traumatic stress disorder that I had mostly gotten rid of with help from my fiancé – the same PTSD I’ve mentioned that I am battling right now. And with the PTSD came the hypervigilance and the environment scanning. The only good thing that has resulted from this is my tendency to store visual details, which I can access later for my writing. My most recent post, “Of Spice, Epicureanism, and Masochism” was republished over at Shift Journal on Thursday. Woohoo! So, go check it out. 🙂 And while you’re at it, check out the rest of Shift Journal as well. You’ll find some readworthy contributions from folks on the spectrum exploring what an autistic existence means as well as it being a “legitimate way to be in the world”, according to the website. I Am One Woman. One Woman With Autism. Who am I? I could be your coworker…your next door neighbor…your best friend…your classmate…your teacher…your student…your secretary…your boss. I could be your mother…your daughter…your sister…your lover…your wife. 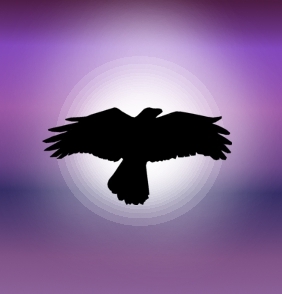 Note: this post is modified from a post which originally appeared on Raven’s Wing Poetry. First, an announcement: an excerpt of the video of my poem, “You Don’t See It”, was featured in a Long Island TV FIOS segment about Awe In Autism. The segment has been posted on MyLITV’s website in two videos. Part 1 features Awe In Autism, its founders (Deborah French and Kim Covell), and some of the work featured on the site, include the excerpt of my poem. Part 2 features “for dylan”, a song and music video which the founders call “the song behind the Awe in Autism” project. In and amongst this bit of news and self-promotion, I feel the need to express a couple of things. First of all, if I haven’t said it before, my thanks and gratitude go to Awe in Autism for giving the opportunity for my poetry, namely “You Don’t See It”, to be featured on their site. AWE has given many autistic artists, musicians, poets, and others an opportunity to have their work seen, heard, and accessed. Also, as Kim Covell states in the first video, artists with autism often have a harder time self-promoting, and while I’ve gotten used to it thanks to the Internet, I must say I still find the task daunting sometimes. I am grateful for the opportunity for my work to reach a wider audience and go beyond this blog thanks to AWE. Secondly, as I have said before, “You Don’t See It” is probably my best statement and expression to the world of what having Aspergers/being autistic is like. The experience of self-discovery and acceptance has been joyful and at times painful and overwhelming — but probably the most significant thing I could say is that is has been enlightening. And through it all, the craft of writing and poetry have been a conduit and a means for this journey. Writing is my native language. I am much, much better at the written word than I am at oral communication: there are times that my tongue fails, but praise God my pen does not. This is part of my reality as an autistic person, and is true for many others. The poetry helps me say what sometimes my lips cannot. I hope I have given you, the readers of WWA, at least a glimpse or a peek at what that reality — and my reality as a whole — is. I also hope that through the writings on this blog, both prose and poetry, that I have reached you, moved you, connected with you, made you think, and most of all, made you feel. Finally, please consider not only watching the videos of the segment but visiting Awe in Autism to see the vast, wonderful spectrum of art by creative and talented autistic individuals. I can promise you that you will not be disappointed, but amazed at the breadth of expression the site has to offer. where your ear was resting all night. read my lips. You won’t find anything there today. This poem was one of the two specifically written for Autistics Speaking Day. The other, “Back Door Blues“, is over at Raven’s Wing Poetry. There is a list of other poems I am sharing today here. And hats off to everyone participating in Autistics Speaking Day. Thank you everyone who is taking the time to read these poems today. We autistics *do* speak and communicate in various different ways. Hats off to everyone who is participating today — I will see you around the interwebs. And if you are sharing poetry today too, please don’t hesitate to post links to your work! You can leave them in the comments. As you probably know, Autistics Speaking Day is tomorrow, November 1. Many of us on the spectrum have chosen this day to speak out instead of shut down, and The Coffee Klatch will be hosting a 24-Hour Chat on TweetChat tomorrow for Autistics Speaking Day. Also, other events and stuff may be happening too: feel free to check out the Autistics Speaking Day event page on Facebook for more info. And I will be doing what I do best — poetry. I will be sharing some new poems I have written just for Autistics Speaking Day on here and Raven’s Wing Poetry, as well as sharing some other poems I’ve written in the past. I will post a list tomorrow of all of the poems here as well (so you don’t have to go a’diggin’) as well as Tweeting and posting on FB as much as possible. I look forward to joining everyone speaking out tomorrow in the Interwebs and Blogosphere and am honored to be part of such an event. Be LOUD and be PROUD on November 1! Last night was the 2010 Inaugural International Naturally Autistic Awards ceremony, held in Vancouver, British Columbia. This was the first time that the ANCA Foundation had opened up its Naturally Autistic event to those outside of Canada, hence why it was an inaugural event. And ANCA, its supporters, and the award recipients made history last night. The honorees at last night’s ceremony, both in the adult and child categories, did the Autistic Community PROUD. With autism, the focus has oftentimes been on our limitations, and this has sometimes given rise to assumptions and myths that we cannot create artistic works of value. The winners of this year’s awards stand as a testament that those assumptions and myths are wrong. Yes, you read the list right – I won an award in the Adult International Literary category, for a collection of poems that I submitted in mid-July to the foundation entitled “Novena”. I am honored and happy to be among such talented, professional, and exceptional individuals as the above honorees at last night’s awards. Unfortunately, my fiance and I were unable to attend the ceremony – however, at the request of ANCA founders Leonora Gregory-Collura and Charlie Collura I sent in a pre-recorded acceptance speech as well as a pre-recorded reading of a poem from the collection, “You Don’t See It”. Both videos were played during last night’s ceremony; they are embedded into this post below. I also had the privilege to call into Ralph Watley’s KXBG show on Blog Talk Radio last night and speak to callers, Leonora, and the other award recipients and attendees of yesterday’s event remotely from my home: you can listen to the archived broadcast here. I was flabbergasted, honored, humbled, and touched by a lot of the responses I heard to my work – at one point, I was told that the video of “You Don’t See It” which was played at the ceremony moved people to tears, and Kelly Green of AutismHWY mentioned that my poems helped her understand what was going on in the mind of her own son, who is also autistic. This was probably one of the first times in my life that I really understood how poetry can reach people, and that I really felt that my work moved listeners. And for that, I feel truly happy and blessed. Thank you’s go to Leonora, Charlie, and the rest of the ANCA Foundation for such a historic event and opportunity to recognize artistic talent of both adults and children on the autism spectrum. Also, Kelly Green and AutismHWY were instrumental in getting the word out about the awards, both during the art submission period (which is how I found out about them) and promoting and publicizing last night’s ceremony. Last night’s event was truly historic and significant, and I am honored to have been a part of it as an award recipient. Continued blessings to ANCA and all of its friends and supporters, as well as my fellow award winners. This upcoming year looks to be truly promising. P.S. You can read last night’s program as a Uniflip document. We are less than a week away from the 2010 ANCA Naturally Autistic Awards. The awards ceremony is set to take place in Vancouver, BC on Saturday, October 30. ANCA has been in existence since 1995 and its mission is to ” support the natural development of autistic people by providing education and training to autistic individuals, their families, and the community at large.” They have been holding the yearly Naturally Autistic Event in Vancouver, which celebrate artistic talent in autistic children and adults — but this is the FIRST year that ANCA has opened up awards and participation to artists, writers, filmmakers, and musicians outside the Canada. In addition to Canadian awards winners, this year’s ceremonies will feature artists from the United States and Austrailia. The program of that afternoon’s ceremonies can be viewed at http://flipflashpages.uniflip.com/2/34838/73200/pub/index.html or via PDF at http://www.naturallyautistic.com/wp/wp-content/uploads/2010/03/NA-Program-final.pdf. Please watch this blog for more developements or check out ANCA’s Facebook Page. Also, check out this note on AutismHWY’s Facebook page discussing and supporting the upcoming awards.